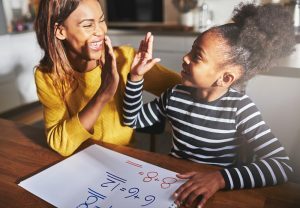 How Can I Help With My Child’s Occupational Therapy Sessions? Be involved with your child’s occupational therapy sessions! At Connections Therapy Center, we strive to give children and adolescents with specials needs the skills needed for independent functioning. Our occupational therapists work with each child and try to strategize plans to target their specific needs. If you want to be actively involved and in your child’s occupational therapy sessions, there are plenty of things you can do to help! Here are three steps that you can take to ensure everything runs smoothly. It is important that you have regular conversations with your child’s therapist. You want to ensure you are always on the same page with everything. If this is the first time your child is going to see a therapist, you should make sure you voice any concerns or anything you may want their therapist to know. For example, they will need to know your child’s strengths, weaknesses, areas you want them to improve, etc. It is also a good idea to chat with them at the end of each session. It is impossible to ask too many questions when you are working with your child’s therapist. The more you know, the better you can help your child. Don’t ever be afraid to ask them anything! They are there to help your child in any way that they can. For example, you could the occupational therapist if there is anything you could do with your child at home. They may be able to recommend some exercises that would allow your child to get more practice in specific areas. If their therapist permits it, try to sit in on the sessions. This way you will get a first-hand look at how your child is responding from the sessions. In many cases, you can actually participate in some of the exercises. This entry was posted on Monday, January 22nd, 2018	at 3:47 pm	. You can follow any responses to this entry through the RSS 2.0 feed. Both comments and pings are currently closed.